Last June (2012) the largest refinery on the East Coast was on the brink of closing - in part due to higher international crude prices (versus US inland grades). Since then the 330 Mb/d Philadelphia Energy Solutions refinery has reopened and along with several of its competitors the new owners have developed means to get access to lower priced crude from North Dakota and Western Canada using rail. Today’s episode of our continuing crude by rail series is a survey of East Coast rail offloading facilities. The first episode in this series provides an introduction and overview of the “Year of the Tank Car” (see Crude Loves Rocking Rail). We describe the rapid growth in US crude oil production that put pressure on pipeline logistics and made rail a viable alternative for moving crude to market. The second installment (see Crude Loves Rocking Rail – The Bakken Terminals) began our survey of rail loading terminals with a map and a complete list of facilities in North Dakota. 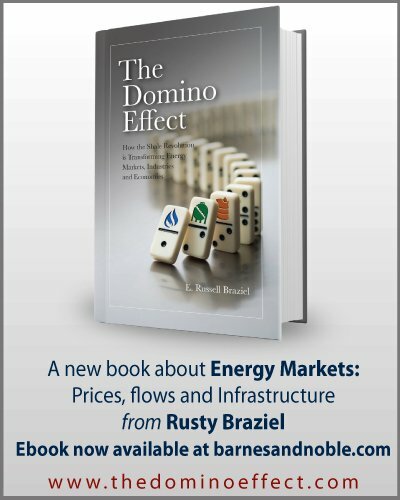 The follow up episodes covered EOG, Hess and Inergy, Plains, Enbridge and Global, Bakken Oil Express, Dakota Plains, BakkenLink and Savage and Bakken terminals north of the Canadian border in A Plethora of Terminals in the Williston Basin. We discussed the development of rail terminals loading heavy oil sands bitumen crude in Western Canada in two episodes Heat It! (Bitumen Economics Part 1) and Part 2. The last episode on rail loading covered terminals built outside the Bakken and Canada in the Niobrara, Eagle Ford, Permian and Anadarko basins as well as Cushing, OK (see Load Terminal Craze). 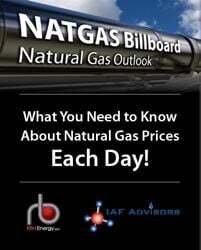 The complete series can be found at the www.rbnenergy.com website under the Daily Energy Post tab. 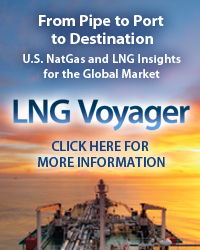 In this episode we begin our survey of destination terminals with a look at installations built to receive crude at or provide terminal distribution to refineries on the US East Coast. We have previously described the changing fortunes of East Coast refiners (see for example Don’t Let the Sun Go Down on Me Part 1 and Beginning To See The Light). There is only limited refining capacity in the region. According to the Energy Information Administration (EIA) Petroleum Administration Defense District 1 (PADD 1) that covers the US Eastern seaboard has about 1.3 MMb/d of operable crude refining capacity. About 80 percent of that capacity or 1 MMb/d was utilized during January 2013. about 80 percent of PADD 1 refining capacity is configured to process light sweet or light/medium sour crudes. Traditionally these refineries have been supplied by waterborne crude delivered from the US Gulf Coast or imported crude from North West Europe and Africa. 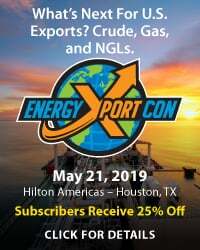 There is no pipeline capacity to deliver crude to the East Coast from the Gulf Coast or from Midwest crude distribution centers such as Cushing, OK or Chicago, IL. So until recently East Coast refiners operated solely on a diet of international crude sourced mainly from Europe and priced against the North Sea benchmark Brent crude. Over the past two to three years Brent has sold at a premium to US inland crudes priced against the Midwest benchmark West Texas Intermediate (WTI) crude because a lack of infrastructure is preventing the latter from reaching coastal markets. The Brent premium over WTI ballooned out to $27.68 /Bbl in October 2011 and averaged $17.50/Bbl during 2012. The Brent premium to WTI has narrowed somewhat this year but still closed yesterday at $13.02/Bbl. [Follow the Brent/WTI spread daily via RBN’s Spotcheck - click here if you have trouble accessing.] As a result of the Brent premiums to WTI, East Coast refiners found themselves paying far more for their crude than Midwest rivals with access to lower priced domestic supplies. For a while the survival of these refineries was threatened because their crude costs exceeded the value of their refined products. But that was before crude by rail came to the rescue and provided PADD 1 refiners with options to secure access to the same lower priced domestic and Canadian supplies that their Midwest competitors enjoyed. Rail shipments of crude to East Coast refiners have jumped from zero at the end of 2011 to somewhere north of 200 Mb/d and growing daily (April 2013). Most of the crude being delivered by rail is light sweet crude from North Dakota. East Coast refiners have also arranged crude by rail supplies from Western Canada – most notably to the PBF Delaware City refinery but also in smaller quantities to specialist refineries such as the NuStar Paulsboro, NJ 74 Mb/d asphalt plant. We should point out that rail is not the only source of domestic crude supply to the East Coast. 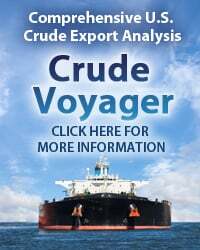 Refiners have also begun to take advantage of supplies from the South Texas Eagle Ford basin being delivered by Jones Act ship from the US Gulf. 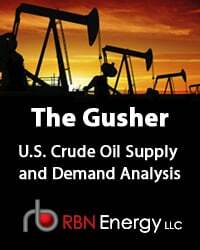 In the medium term there are also good prospects that domestic light sweet crude from the Utica shale in eastern Ohio will provide even closer supplies. The Utica is currently only beginning to be developed and its full potential is yet to be gauged, but estimates of possible production range upwards from 150 Mb/d by 2017. As we have frequently pointed out in this series, crude by rail transport infrastructure can be planned and built with very short lead times. Bakken crude rail loading capacity expanded from about 275 Mb/d at the end of 2011 to over 900 Mb/d this year. The loading terminals however are only the first piece of the crude by rail puzzle. If you build a unit train loading facility that can handle 100 rail tank cars carrying 70 MBbl of crude you have to deliver to a facility with similar unit train unloading capacity in order to reap the economies of scale. As East Coast refiners have cottoned on to the price advantage of domestic crude supplies by rail, destination facilities have been planned and built out rapidly during the latter half of 2012 and into 2013. East Coast rail unloading facilities can be separated into two distinct types. The first is distribution terminals where crude is offloaded from rail tank cars and then redistributed to refiners – typically by barge or ship. The second is purpose built refinery rail unloading facilities dedicated to the needs of specific refineries. Generally speaking distribution terminals have been first off the drawing board – because once Bakken marketers built rail load facilities they needed destinations to distribute crude to. Strategically placed terminals – especially with waterborne access - provided a quick win because PADD 1 refineries are already getting their crude supplies by water and therefore have receipt terminals in place. Table # 1 below lists 6 East Coast distribution terminals that have rail unload facilities today or are planning to build them in the near future. All but one of these rail distribution facilities are located on the site of existing refined product marine terminals. That makes sense because East Coast refineries have traditionally redistributed their products to market by marine vessel and these facilities serve the same refinery locations. The railroads serving the East Coast refining corridor from New York Harbor to the Delaware River are CSX and Norfolk Southern (NS). Oil shipped by rail from the Bakken has to come via Canadian Pacific (CP) or BNSF railroads so connections are required with CSX or NS to get to the East Coast. Two of the distribution terminals for the Northeast are located in Albany, New York. Global Energy Partners and Buckeye Partners own these terminals. Both facilities handle unit train deliveries from the Bakken and then transfer the crude onto barges for onward distribution. Global receive shipments on a single haul CP line from their Stampede loading terminal in North Dakota and redistribute by barge down the Hudson River from Albany to New York and East Coast refineries. Global has a three-year agreement to supply 50 Mb/d to the Phillips 66 Bayway, NJ refinery. Buckeye also source their crude supplies from the Bakken but they use BNSF rail routes out of North Dakota and transfer to a CSX rail line to reach Albany. Buckeye has an agreement to ship crude by marine vessel from Albany up the East Coast to the Canadian Irving refinery in St. Johns, NB. Another East Coast refinery at Trainer, PA (purchased by Delta airlines during 2012 and now run by Monroe Energy) is receiving 35-40 Mb/d of crude from Albany by barge. Although Monroe have talked about developing their own rail facilities – as far as we know those plans have yet to materialize. Buckeye also own a large former Chevron refined products distribution and storage terminal at Perth Amboy, NJ and is planning to build a rail unloading facility there. 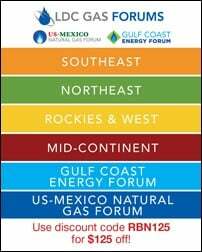 To access the remainder of Crude Loves Rock’n’Rail – East Coast Delivery Terminals you must be logged as a RBN Backstage Pass™ subscriber.